Undergraduate Year 1 in Top 30 UK universities normally require 544 to 555 in HKDSE, with subject-specific requirement depending on your choices of programmes. If students fall short of such requirement, they can progress through International Diploma and University Foundation Courses. These programmes accept entry at 433 to 322 in HKDSE and enable qualified students to progress onto Year 2 and Year 1 of an undergraduate programme in Top 30 UK universities respectively. Students aiming for top universities and highly-competitive subjects such as medicine and actuarial sciences, however, will benefit from the 1-Year A-levels which also allows them to apply to universities in Hong Kong through the Non-Jupas route. In the seminar, our education consultants will introduce these four options for HKDSE students. Content includes university options, subject options, entry requirements, plus the procedures and important dates of UCAS. Students can apply to undergraduate and pathway programmes in over 120 universities via our university network. How does UCAS work? What are the important dates? How to make best use of the five application quotas in your UCAS application? Is it possible to have the sixth and the seventh quota? Tips on writing a winning personal statement. Options of university and academic disciplines in pathway programmes. University Foundation Courses that accept applications from F.5 students. The option of One-Year A-levels and a brief analysis of Non-Jupas admission data. Joining force with Yasmin Sarwar, founder of Cardiff Sixth Form College, who has acted as the Chief Education Officer here in her new role since 2017 – Oxford International College is an international sixth form college which aims to help high-achieving students reach their goals! There will be internal quizzes every Saturday that challenge students and help monitor progress, while aspiring applicants to University of Oxford and University of Cambridge will be mentored by students from University of Oxford, who can provide valuable first-hand insight to help with preparation for the demanding entrance exams and interview. Exam results are excellent in the past few years, with an highly impressive A*-A rate of 84% in GCE A-levels 2018, putting it as the 5th best performing independent school in the UK. The Admissions Talk will be delivered by Professor David McClean, Head of the Scott Sutherland School of Architecture and Built Environment of Robert Gordon University. He will provide an overview of the variety of architecture, construction and surveying programmes provided by the University, and will also cover the career options available to graduates from different programmes. Robert Gordon University is one of the polytechnics that were granted university status after the Further and Higher Education Act 1992 and is ranked within top 30 in a wide range of disciplines, which include Building & Surveying, Architecture, as well as medical-related subjects such as Radiography and Physiotherapy. The majority of undergraduate programmes in Robert Gordon University offer a placement. In some cases, these may be year-long paid placement. The third oldest school of architecture in the UK, the Scott Sutherland School of Architecture & Built Environment is ranked the 28th for architecture in the UK. Its excellent record of graduate employment shows that 95% of students were in employment within six months after graduation. Students will have the opportunities to go onto overseas field trips, which have in the past covered destinations such as Amsterdam, Venice, Paris, Barcelona and more! If students are aiming to become an architect, RGU offers the option of a 3-year BSc Architecture (RIBA Part I) and a 6-year Master of Architecture programme (RIBA Part I & II, covering a 3-year BSc, a placement year and a 2-year MArch). Students on the 6-year March programme will be issued a 6-year student visa that enables them to complete their placement year in the UK without the troubles of obtaining a separate work visa. Once again, the Scott Sutherland School of Architecture and Built Environment at Robert Gordon University (RGU) will return with its popular Portfolio Development Workshop in Hong Kong. Led by Professor David McClean, Head of the Scott Sutherland School of Architecture and Built Environment, the Workshop will let students experience the practical studio-based learning approaches in RGU and deepen their understanding of the discipline of architecture. What is an Portfolio and Why is it Important? Individual feedback sessions: Students will be advised on what areas to improve in their portfolio and skills, to understand their strengths and weaknesses in relation to the discipline of architecture. Parents are also welcome to join the meeting if necessary. University Pathway Programmes (Foundation & International Diploma) are one-year programmes that allow students to progress onto year 1 and year 2 of an undergraduate programme in the UK. Many of these programmes are taught in dedicated teaching centres within university campuses and provide “guaranteed progression” to an undergraduate degree upon achieving the required grades in internal exams and coursework assessment. With hugely improved student satisfaction and graduate prospect, Swansea University in 2019 broke into the Top 30 for the first time in UK university ranking. Traditionally the School of Engineering is the most celebrated school in Swansea University. In the latest research assessment exercise (REF 2014), 94% of researches in engineering were rated as “World Leading” and “Internationally Excellent” – a result comparable to that of traditional engineering schools such as UCL and Bristol. In subject rankings, Mechanical Engineering, Chemical Engineering, Aerospace Engineering, Civil Engineering, Electrical & Electronic Engineering are all ranked within top 15 in the UK – reflecting outstanding performance in both teaching and scientific researches. Ranked the 167th globally (THE 2019) and the 38th in the UK, the University of Leicester provides the flexibility with Major/Minor degree options, which enables students to concentrate on a subject area as the major subject, while broadening knowledge with a Minor subject. Leicester has put great efforts into science and technology over time. It’s home to the largest space research centre among all European universities. The Department of Physics and Astronomy has participated in the PanCam research project under European Space Agency (ESA)’s ExoMars programme. DNA Fingerprinting technology was also discovered by one of the professors in Leicester! As its name suggests, University of Portsmouth is located in the port city of Portsmouth in the South of England. It’s one of the polytechnics that were granted university status because of the 1992 Education Act. As one of the best performing Post-1992 universities, University of Portsmouth is now ranked the 51st in the UK. The University has good reputation in medical-related subjects, educating over 600 medical professionals every year (including pharmacist, medical technologists and radiographers). The £14-million brand new home of the Faculty of Creative & Cultural Industries provides state-of-the-art technology and teaching space for students interested in art, design and new media, which include new Motion Capture facilities as well as Virtual Reality devices such as the Oculus Rift. Based in Hatfield, the historic centre of British aviation manufacturing, the Faculty of Engineering provides a wide range of options in the area which include aerospace engineering, aerospace technology, etc. Some of these incorporate Pilot studies programmes that offer as many as 400 hours of flying practices, enabling students to qualify for the National Private Pilot’s License when they graduate. Alumni of University of Hertfordshire are widely employed by leading manufacturers in the field such as BAE Systems (one of the world’s largest defense and aerospace manufacturer), Rolls-Royce (the world’s second largest airplance engine manufacturer) and include Frank Ogilvie the deputy chief designer of the Airbus A380. In Creative Arts, University of Hertfordshire was named the 12th best in the world for VFX, Animation and Games by the Rookies (an international award for new creative talents). In the two years that follow (2016 & 2017), the Rookies awards also rated the University within Top 5 in a number of specialisms in new media arts including Game Design & Development, Photography, Film Making, VFX & Animation, and, in 2016, number 1 in the world for Next-Gen Gaming! Students of the School of Creative Arts are offered a wide range of options that include Animation, Digital Media Arts, Special Effects, Music Technology, as well as other more common options such as Fashion Design, Graphic Design, Photography and more! Located in Aberdeen, Robert Gordon University follows the Scottish education system, providing 4-year undergraduate programmes. The University is one of the polytechnics that were granted university status after the Further and Higher Education Act 1992 and is ranked within top 30 in a wide range of disciplines, which include Building & Surveying, Architecture, as well as medical-related subjects such as Radiography and Physiotherapy. The majority of undergraduate programmes in Robert Gordon University offer a placement. In some cases, these may be year-long paid placement. University of Northampton is a university in the Midlands, which was granted full university status in 2005 but with a history that can be traced back to the 13th century. The University is well recognized for its efforts in supporting social enterprises and was one of Ashoka’s global network of “Changemaker Campus”. The number of social enterprises that the University works with is so large that it allows every of its 14,000 students an opportunity to work in a social enterprise during their courses. In terms of other academic areas, University of Northampton is strong in teacher training and health subjects, and is the region’s largest providers of teachers and healthcare professionals. University of Northampton is home to the one and only Leather Technology programme in the UK, which teaches the technology behind the manufacturing and materials of high-end leather products. If you’re interested in a career working with high-end manufacturers and designers of luxurious shoes, handbags, clothes, furniture and sport scars, it’s likely to be the right course for you! In the past five years, the course has achieved a 100% graduate employment rate, reflecting the recognition by the industry. University of Northampton also offers foundation programmes that can lead to a degree in Podiatry, which suits students who are interested in medical related disciplines! the technology behind the manufacturing and materials of high-end leather products. Accredited by the General Optical Council (GOC), the BOptom (Hons) Optometry in Anglia Ruskin University is recognized by the Optometrists Board of Hong Kong. Students therefore will be eligible in registering as an Optometrist in Hong Kong, after successful completion of the professional examination set by the College of Optometrists (UK) and a year of work placement. During their studies, students will learn to perform eye examinations, acquire knowledge of ocular diseases and pathology. In Year 3, students will spend up to 6 hours per week gaining hands-on experience in the open-to-public University Eye Clinic, performing eye examinations and dispensing patients with appropriate spectacles when required. Globally ranked the 272th (QS 2019) and the 27th in the UK, University of Dundee is a historical Scottish university with high academic standard. University of Dundee is ranked among the Top 20 in many academic disciplines, such as Civil Engineering, Education, Art & Design, Architecture and Town Planning. Hong Kong students should be aware that Dundee operates under the Scottish education system with 4-year undergraduate degree programmes. Students with 444 in HKDSE, however, may be allowed to progress to year two directly if other subject-specific requirements are also fulfilled. Duncan of Jordanstone College of Art & Design (DJCAD), University of Dundee is a century-old art school in Scotland. Ranked the 10th in Art & Design, the College is one of the finest art schools in the UK, reputable for its excellence in teaching and academic research. DJCAD offers programmes in animation, fine art, graphics design and films, as well as some less common programmes such as interactive media and jewellery design. Alumni include Turner Prize winner Susan Philipsz who took home a Turner Prize in 2010. Ranked the 141st globally (THE 2019) and the 12th in the UK, University of Exeter is top 10 in as many as 29 academic disciplines and reputable for Sports Science, Communications & Media, Sociology, Psychology, Geography and Business studies. The University’s Business School has been a popular option of Hong Kong students for Accounting & Finance (ranked the 7th), Business Studies (8th) and Economics (13th) . Notable alumni include JK Rowling (author of Harry Potter), Thom Yorke (lead singer of Radiohead) and more! Rebecca Hill, Head of Recruitment of University of Exeter’s pathway programmes, will attend the event. She will be happy to meet with students and parents individually to answer questions related to University of Exeter and its pathway programmes, covering content such as course structure, progression degree options, progression requirements and more. The event is suitable for students considering to apply to University of Exeter and its pathway programmes. Pathway programmes provided by ONCampus can lead to undergraduate degrees in colleges of University of London as well as modern universities such as Coventry! University Pathway Programmes (Foundation & International Diploma) are one-year programmes that allow students to progress onto year 1 and year 2 of an undergraduate programme in the UK. Many of these programmes are taught in dedicated teaching centres within university campuses and provide “guaranteed progression” to an undergraduate degree upon achieving the required grades in internal exams and coursework assessment. These programmes are suitable for HKDSE graduates, while some of them also accept applications from F.5 students. In the academic year of 2013/14, ONCampus London first introduced the University of London International Foundation Programme in their designated study centre in Birkbeck, University of London. The Programme provides a more challenging curriculum that comes with more diverse progression routes for students aspiring to top universities. With specially written study materials by University of London, students will study four academic subjects (normally students study three subjects in a foundation programme) alongside English language and personal development programmes – a total of 28 teaching hours per week. Upon completion, students will be eligible to apply to a range of UK universities, including top universities such as London School of Economics & Political Science (LSE), Bristol, Durham, Manchester, Nottingham and more! University of Reading is ranked the 195th globally (QS 2019) and the 40th in the UK. Its business school (Hanley Business School) comes 32nd in the European Business School Ranking (FT 2018). Building & Surveying, Film Studies, Design and Meteorology are among the university’s most reputable disciplines. Reading is the first university to offer Film Studies, as well as one of the few schools who combine film and theatre studies in one programme. There is a versatile balance between theoretical and practical studies. The flexible course structure also allows students to fine-tune direction of their studies as they gain deeper knowledge in the subject. Coventry University has been named “Modern University of the Year” by Times in three consecutive years (2014-2016). With high student satisfaction rating and employment rate, Coventry has become one of the most remarkable post-1992 universities, with significant improvements in major university league tables. Communication & Media, Art & Design and Physiotherapy are the most popular areas of study. With over 160 years of history, the Coventry School of Art & Design offers specialist programmes in diverse areas such as Automotive and Transport Design, Interior Design, Product Design. University of Central Lancashire (UCLan) is one of the largest universities in the UK that provides a wide range of subject options. In 2014/15, the University started its medicine programme (MBBS), after the success in establishing its dentistry programme. The MBBS programme is tailored for international students and provides placement opportunities in the NHS as well as private clinics. UCLan is known for its outstanding support to its students and a top player in nurturing graduate start-ups. With the good support from the University, over 70% of these graduate start-ups were able to survive the first two difficult years of operation. with a “Guaranteed Interview” Mechanism: 90% of Students who Achieved an Interview Progressed to MBBS at UCLan! University of Birmingham is a historical and research-intensive university, which is now ranked the 79th globally (QS 2019) and the 14th in the UK. Birmingham enjoys very good reputation in the academia globally and is a founding member of the Russell Group, which symbolizes the highest standard of research and teaching in the UK. The University of Birmingham is ranked within Top 10 in the UK for 25 academic disciplines, in which many are within top 5 (including Hospitality & Tourism, Sports Science, Town Planning, Music, Philosophy, Chemical Engineering and more). Its alumni and staff include 11 Nobel laureates, as well as Geoffrey Ma, the Hong Kong Chief Justice of the Court of Final Appeal. University of Nottingham is ranked the 82nd globally (QS 2019) and a member of the Russel Group. It has been cited twice in the last three years as “The Best University for Finding Graduate Recruits” by UK’s top employers. 51 academic disciplines are offered. 23 of them are ranked among top 10 in the UK, while Pharmacy, Social Work, Physiotherapy, Chemical Engineering, Physics & Astronomy and Animal Science are all ranked among top 5. The university also offers a 5-year MPharm programme, so that students do not have to worry about visa issues during their Pre-Registration Training for Pharmacists. Ranked the 69th globally (QS 2019), University of Glasgow is one of the oldest universities in the English-speaking world with over 560 years of history. As a member of the Russell Group, the university offers a wide range of academic disciplines and research, in which as many as 27 are ranked with Top 10 in the UK. Civil Engineering, Education, Law, Sociology, Accounting & Finance, Electrical & Electronic Engineering are some of its strongest areas. Notable alumni include economist Adam Smith, two former British Prime Ministers, a number of Nobel laureates and Regina Ip (former Secretary for Security of Hong Kong). University of York enjoys worldwide recognitions and is now ranked the 134th globally (QS 2019) and the 22nd in the UK. With strong focus on the humanities and sciences, York is a research-intensive university and a member of the Russell Group, which symbolises the highest research and academic standard in the UK. Overall research quality was ranked within top 15 in the UK by the latest research assessment exercise (REF 2014). Its Communication & Media, English, Psychology, Criminology, Biological Sciences and Chemistry are ranked among UK’s top 10. In slightly over 50 years’ time since its establishment, alumni of University of York has became active players in British politics and include many notable people in areas such as literature, history, music, etc. Notable alumni from Asia include Yeung Sum (former LegCo member of Hong Kong) as well as Han Seung Soo (former Prime Minister of South Korea). As one of the best in Social Sciences, University of Essex is ranked the 29th in the UK. Researches in Economics, Psychology, Politics and Philosophy are all highly rated by REF (2014). Respectively 93%, 90%, 87% and 85% of researches in these disciplines were rated World Leading and Internationally Excellent – a very impressive achievement for a university with only 50 years of history. A number of professors in the Faculty of Social Sciences, University of Hong Kong are graduates of University of Essex. Other notable alumni include LegCo members LEUNG Yiu-chung and British film director Mike Leigh. Set in the creative city of Bristol, University of the West of England (UWE Bristol) was formerly a polytechnic and was granted full university status in 1992. Employability remains at the heart of UWE Bristol’s education. The already tight relationships with employers continue to foster, which now include formal links with the BBC, Airbus, etc. Career support services of UWE Bristol were voted the best in the UK in 2014 while graduate employability comes as the 8th in the UK with over 95% of graduates in employment within six months after graduation. UWE Bristol provides academic programmes in as many as 36 disciplines, among which Building & Surveying, Architecture, Town Planning and Art & Design are the strongest. UWE’s Bristol School of Animation enjoys a worldwide reputation. Chris Ford, creative director of PIXAR, is also one of UWE Bristol’s graduates! Set in the coastal resort town of Bournemouth, on the south coast of England, Bournemouth University is one of the polytechnics that were granted university status in 1992. The University is most famous for Computer Animation and Tourism & Hospitality Management. Bournemouth University is a successful advocate of work placement, who is able to offer placement opportunities all honours degree students, and nearly 90% of its students have taken up the offer of placement in the past – one of the highest participation rate among UK universities. These have resulted in much improved employability. The retail management degree, for example, has achieved an impressive 100% employment rate for eight consecutive years! National Centre for Computer Animation (NCCA), the animation school of Bournemouth University, is named the 13th best animation school in the world by Animation Career Review. Aimed at training tomorrow’s technical directors in the animation field, the BA (Hons) Computer Animation Technical Arts involves a 50/50 mix of creative and technical training. Graduates of Bournemouth University have worked in films such as The Martian, Avator, Star Wars: The Force Awakens and more. More than 50 alumni have participated in the production of Oscar’s Best Visual Effect winner, Gravity. Name the 13th best animation school in the world by Animation Career Review. More than 50 alumni have participated in the production of Oscar’s Best Visual Effect winner, Gravity. University of Westminster is located in the heart of London and is formerly the Royal Polytechnic Institution, which was founded in 1838 and was Britain’s first polytechnic institution. The University was officially granted university status in 1992. Today it remains the choice of many in London for continuing education. Journalism, Architecture and Art & Design are among its strongest subjects. It was ranked by the QS University Guide 2018 as the 6th in the UK and the 40th globally for Communication & Media Studies. The School of Architecture was also voted the 2nd best by practising architects in Architects’ Journal. With its long history of teaching, alumni of University of Westminster is spread across different sectors, especially the architecture, art & design as well as the media – many of them are people awarded the Order of the British Empire for their contribution to their professions. The seaside resort Brighton in the South of England is now more than a famous tourist destination, but also an important cluster of the creative industries near London. The University of Brighton has long enjoyed a reputation in Art and Design and is well-known for its Fashion Design, Architecture and Graphic Design. It has been constantly regarded as one of the top 50 fashion schools in the world by popular fashion website “Fashionista”. In recent years, other disciplines such as Sports Science and Hospitality & Tourism are enjoying a growing reputation. University of Brighton also offers foundation programmes that can lead to a degree in Podiatry, which suits students who are interested in medical related disciplines! What’s so good about studying in the UK? In addition to small class-size, excellent provision of facilities and more flexible teaching methods, what makes the As in UK student’s report cards? What options do students from the new 334 education system have, to continue their studies in the UK? What makes up the best preparation for progression to the finest universities? How does British boarding school experience benefit students when they apply to universities in Hong Kong? In the seminar, our education consultants will answer all these questions by sharing their own experience in the UK. The seminar is suitable for parents of primary and secondary school students and students themselves, who are interested in studying in the UK. The Education Systems: In what circumstances can Hong Kong students progress to the next year group in the UK? In which year groups does it offer more school options? The Boarding School Life: What time is lights out time? What weekend activities are available for boarders? What are these unique school holidays in boarding schools? The Public Exams: How do GCSE and A-levels subject choices affect your options in university? What subject combination may bring extra advantages to Hong Kong students? GCSE & A-levels Reform: What were being reformed and when? Are the two exams more difficult now than before? The Application Procedures: What should you consider when selecting a boarding school? What criteria are used when boarding schools select students? 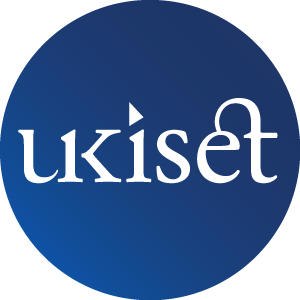 Is it necessary to sit boarding school entrance exams (such as BUSSATs & UKiSet) in advance? Students attending the seminar can take home a free copy of The Metropolis UK Boarding School Guide by giving a Facebook Like to our Facebook page. Dr Steven Gellatly, Medical Demonstrator & Principal Teacher of Advanced Laboratory Skills from School of Medicine in University of Dundee, will attend the event. He will be happy to meet with students and parents individually to answer questions related to the medical school and its five-year medicine programmes (MBChB). The event is suitable for students interested in studying Medicine in University of Dundee. Westonbirt School is a small-scale girls’ boarding school with about 200 students. With a gigantic campus of 210 acres in the South-West part of England, the School owns a 9-hole golf course and a well equipped sports centre and thus provides very diverse options of extracurricular activities. Employing a non-selective policy in admission, the School focuses on helping students improve and has become one of top 5% of schools in the UK in terms of value-addedness – meaning that significant improvement is shown after students joining the School. In GCE A-levels, about 57% of students achieved A*-B (2018). In addition to standard curriculum, Westonbirt School also provides 1-Year GCSE programme which is suitable for Hong Kong’s F.4 students. The School also provides some very unique options in GCE A-levels, which include business studies, hospitality & tourism as well as the Leith’s certificate of food and wine. The GCE A-levels Curriculum in MPW Sixth Form College (1-Year & 2-Year Programmes) and Recommendations on Subject A-levels Choices: If students are aiming to study Medicine, Physiotherapy, Law, Engineering or Sociology in university, what are the best A-levels subject combinations? For students who are going to sit public exams, when is it a good idea to go for a 1-Year A-levels programme to have another go in public exams? Under what circumstances would a University Foundation be a better choice? The Personal Tutor System: Every student in MPW is assigned a Personal Tutor (called a Director of Studies in MPW London), who will supervise students’ academic progress, university applications and general welfare. How does the system work in practice? How often will the personal tutor meet with students? Specialist Oxbridge & Medical School Application Support – 42 Graduates Gained Entry to Oxbridge, Medicine and Dentistry in the Past Two Years (2017-2018)! MPW offers a range of academic and appliaction support for high-achieving students who would like to apply to Oxbridge and medical schools. What kind of support and training will students receive? 70% UK Students – Why Do Students Choose to Transfer to MPW for their GCSE and A-levels? As a sixth form college, the majority of students in MPW are A-levels students who transferred to MPW from other secondary schools, with many of them coming from top schools in their regions! The majority of them would start at MPW after completing their GCSE, while some might transfer during their A-levels years due to different circumstances. And there are also a good number of students who join the 1-Year A-levels programmes to have another go in public exams, as it’s believed that the first attempt didn’t reflect their ability. If you have the ambitions and you believe that you’re capable of getting into one of the world’s finest universities (such as Oxbridge, LSE and alike) or one of the highly competitive subjects (such as Medicine, Actuarial Science, Law, etc), then perhaps a 1-Year A-levels programme will be a good option to look at – a second attempt in the widely recognized GCE A-levels qualifications! From when you express your interest in the one-year A-levels, the admissions team from MPW will already start talking to you, to understand your aspiration and come up with a good study plan for you. These can range from advices on subject choices, planning for work and volunteering experience, to preparation for admission interviews and specialist written tests (such as UKCAT and BMAT for Medicine, LNAT for Law, etc). All of these start early because studying in one year what normal students have two years to cover isn’t an easy task! When students arrive, they will study under the guidance of their teachers and personal tutors – an excellent level of support that crafted a highly positive study experience, as described below by one of our successful students Ulysses! Mander Portman Woodward (MPW) Sixth Form College in an independent sixth form college founded in 1973, with campuses in London, Birmingham and Cambridge. MPW mainly teaches GCSE and GCE A-levels. There are also the options of 1-Year A-levels and Pre-A-levels, tailored to meet the needs of international students! Currently about 70% of students in MPW Sixth Form College are local British students. There is a tight control on class size, which won’t go beyond nine students per class. Over 40 subjects are offered in its GCE A-levels curriculum. Public exam results are consistently outstanding – A*-B rates in GCE A-levels were between 62% to 75% in the past five years (2014-2018). possible in every sections of the latest inspection reports. In addition to being an education provider, Mander Portman Woodward (MPW) is also a book publisher with a collection of subject guides and UCAS guides which provide students with useful information on higher education. Globally ranked the 190th (THE 2019) in the UK, University of East Anglia (UEA) is a world-renowned university in scientific researches and for many years has been the 1st choice of students pursuing a degree in Medicine and Pharmacy. The University is also famous for its achievements in Art History, Communication & Media Studies, Geography & Environmental Sciences, as well as medical-related subjects such as Physiotherapy, Occupational Therapy and Speech Therapy. Among many others, 82% of researches in Social Work, Social Policy and International Relations were rated “World Leading” and “Internationally Excellent”, which was top 5 in the UK (REF 2014). In Environmental Sciences, UEA has contributed more than any other universities in the world to the Intergovernmental Panel on Climate Change (IPCC) and are among the leaders in the investigation of climate change. Dr Kenneth Le Meunier-Fitzhugh, Director of Admissions & Senior Lecturer from Norwich Business School, and admissions representative for University of East Anglia (UEA) will attend the event. They will be happy to meet with students and parents individually to answer questions related to University of East Anglia (UEA) and related academic disciplines, covering course content, career prospects and more! The event is suitable for students interested in Marketing, Accounting & Finance, Economics and other academic disciplines available in University of East Anglia (UEA). Studying GCE A-levels in a State Sixth Form College is the cheapest option in sixth-form, where tuition and accommodation expenses can start at around HKD$140,000 every year. 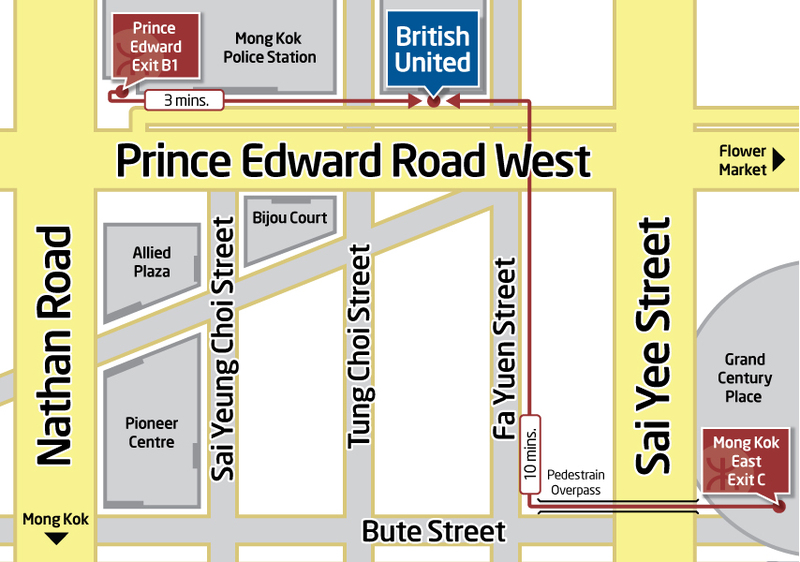 The GCE A-levels qualifications also have the advantage, which reserves the possibility for students to apply to universities in Hong Kong via the Non-Jupas route. If the Non-Jupas application were successful, your overall education expenses would be much smaller than studying in a university in the UK! Study Life in a State Sixth-Form College: Admission representative from Notre Dame Catholic Sixth Form College will introduce you the typical study life in a State Sixth-Form College, covering issues such as teaching quality, facilities, subject choices in GCE A-levels, entry requirement and university destination of past students. 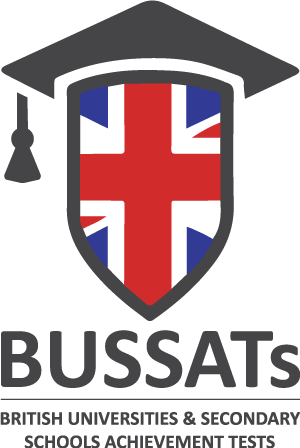 Admission Data Analysis of Non-Jupas Route (Hong Kong): Based on admission data of local universities of the past few years, British United will show you how big a chance you have in securing a place via the Non-Jupas route. It turns out that a huge difference exists in different academic disciplines! Located in Leeds, the 3rd largest city in the UK, Notre Dame Catholic Sixth Form College is academically one of the best state sixth form colleges in the UK. Number of international students in Notre Dame is tightly controlled at a maximum of 4%, ensuring an efficient English learning environment. With over 25 years experience working with international students, past students of British United gave very positive feedback on their experience in Notre Dame and it’s the choice of many civil servant families! Specializing in GCE A-levels, Notre Dame provides a wide range of over 40 A-levels subjects. Results in GCE A-levels are constantly outstanding in the past. In 2018, for example, statistics from the Department for Education places Notre Dame within the top 30 among other state sixth form colleges – there are about 90 state sixth form colleges in total. 70 students from the class of 2018 achieved AAA or better results in GCE A-levels. A total of seven students were able to progress their education in University of Oxford and University of Cambridge, while over 12 graduates went on to study Medicine, Dentistry, or Veterinary Medicine. Notre Dame runs a specialist programme (called Enhancing Excellence) for more able students in Year 12-13 to prepare them for top universities. Five specialist members of staff are employed full-time to look for university opportunities, volunteer’s work and work placement opportunities for students. Students in Notre Dame would receive bulletins of these opportunities regularly. These include placement opportunities in law firms and volunteer’s work opportunities in local community partners and hospitals, which can fulfill requirements on work experience when students apply to medical schools and other competitive degrees. In the past, about 75% of students joining the Programme were able to progress to University of Oxford, University of Cambridge and Russell Group universities in the UK. Brooke House College is an international boarding school in the Midlands of England, famous for its professional football academy. Students in Brooke House College can take football as their only choice of extracurricular activities, so that they can focus on their training. You will have tons of opportunities joining team training and regional matches, and if you play it hard enough you may even get premier league trial opportunities. Hong Kong football player Mark Tan Chun-lok was one of them, who was signed by Peterborough United and joined its junior team for a year! In the Seminar, admissions representative from University of Law will introduce their postgraduate courses in law, in order to help students and parents understand how students can qualify as a lawyer in Hong Kong and the United Kingdom, and explain how different courses may be better for students in different career stages. Admission representative from University of Law will provide details about the following postgraduate courses, covering areas such as course structure, entry requirements, tuition fees, study locations and the steps it takes after the course to qualify as a lawyer. Tailored for graduates with a non-law degree, the Graduate Diploma in Law (GDL) covers essential core modules in law, enabling non-law graduates to pursue professional qualifications to qualify as a lawyer. After the GDL, graduates can follow the British training route and progress onto a Legal Practice Course (LPC) or a Bar Professional Training Course (BPTC), and register as a UK lawyer after completing a training contract with a law firm; if they’d like to follow Hong Kong’s training route, graduates can do so as they will be eligible to apply to the PCLL after passing PCLL Conversion Exams. The UK’s equivalent to the PCLL in Hong Kong, LPC and BPTC are the essential postgraduate training courses for UK’s solicitors and barristers respectively. After the LPC and BPTC, graduates have to complete a training contract with a law firm, before they can register as a UK lawyer. How can students increase their chances in securing a training contract? Can students undertake their training contract in Hong Kong? Admissions representative from University of Law will answer these and other frequently asked questions in the talk! Coming back to Hong Kong to practise: Can a UK lawyer practise law in Hong Kong? After a long and demanding journey to qualify as a UK lawyer, will students be able to practise as a lawyer in Hong Kong? What does it take to become a Hong Kong lawyer? Will the status as a UK lawyer offer advantages in a legal career in Hong Kong? How does a Distance Learning course work? How much time per week does it usually require, for a working adult taking a part-time distance learning course? The GDL, LPC and LLB in University of Law all offer a distance learning mode of study (available as a full-time and part-time course). How does the arrangement work in practice, in terms of class delivery, learning resources, exams and assessment? How much time should a working adult taking a part-time course expect to devote to the their studies? Is there any extra support from the University for distance learning students? Student story sharing: Becoming a lawyer is only one of many career outcomes! In the past, many students doing a postgraduate course with University of Law (especially part-time students doing a distance learning course) aren’t really looking for a career change into the legal profession. Instead many find that good knowledge in law helps advance their career in other industries! In this section, admissions representative from University of Law will share some of these student stories, to show that becoming a lawyer is only one of many career outcomes! Founded in 1876, University of Law has an excellent and unique reputation in professional legal training in the UK. In its early years, it was the lawyer training school of the Law Society of England and Wales, and later became the first private university that was granted degree-awarding power by the UK government! Today, University of Law is one of the most established law schools in the UK and an education partner of the leading global law firm Linklaters, providing a bespoke master’s degree for Linklaters. After obtaining their bachelor’s degrees in Law from a traditional university, many students would continue their postgraduate training in University of Law. The alumni network of University of Law now comprises over 64,000 graduates from around the world, including many from Asian regions such as Hong Kong and Malaysia. In the UK, they include Sadiq Khan, Mayor of London, who completed his LPC in University of Law before embarking on his journey as a human rights lawyer and later a successful career in politics. University of Law has campuses in major cities in the UK, such as London, Birmingham, Bristol, Leeds and Manchester. In recent years, University of Law has also formed partnership with University of Reading, University of Exeter and University of Liverpool, to deliver its GDL and LPC on-campus, so that students can enjoy the the range of campus facilities and campus life in a traditional university campus. as well as University Students and Working Adults. A member of the Russel Group, Durham University is now ranked the 74th globally (QS 2019) and the 7th in the UK. In REF 2014, 83% of its research was assessed as being of “world-leading” or “internationally excellent”. The University teaches a wide range of academic disciplines, in which 16 disciplines are within Top 5 in the UK. Like many traditional universities, Durham is strongest in Law, the humanities (such as Anthropology, Education, etc) and sciences (such as Physics and Chemistry) while Business Studies and Accounting & Finance are ranked the 15th. Durham University is also one of the ten most targeted UK universities by leading recruiters in 2017/18. Notable alumni included Steve Easterbrook (CEO of McDonald’s), Cecil Chao (Hong Kong Billionaire) and Richard Adams (Founder of fairtrade organization Thraidcraft). Lancaster University is now the 131st in World University Ranking (QS 2019) and has been a popular option among Hong Kong students in the past few years. Lancaster is ranked Top 10 in Communication & Media, Social Work, Accounting & Finance, Business Studies, Biological Science, Sociology and more. As is located in the North West of England, Lancaster provides a very different experience from other city-based universities. Students would find the University a good destination of living and study with Lancaster’s award-wining accommodation, which has been named the Best University Halls for 5 consecutive years. Ranked the 248th globally (QS 2019), the University of Surrey is a leading educator in Hospitality & Tourism and Animal Science with a new veterinary school opened in the 2014/15 academic year. Most of its undergraduate programmes involve a year-long placement. With improving student satisfaction level, Surrey was named the 2016 University of the Year by the Times in praise of the good balance between research and teaching quality! Ranked the 75th globally (QS 2019), the University of Sheffield excels in a wide range of academic disciplines. Architecture, Communication & Media, Town Planning & Landscape Architecture, Civil Engineering, Chemical Engineering and Biological Sciences are among Top 10 in the UK. Sheffield’s reputable engineering school now educates more than 4000 students and is a leading institution in systems engineering and smart materials globally. Notable alumni include five Nobel laureates, as well as Chung Sze-Yuen (Senior Unofficial Member of Legislative Council of Hong Kong) and Douglas Young (founder of lifestyle design and retail brand G.O.D.). Ranked the 161th globally (THE 2019), the University of Sussex excels in social sciences and the humanities. Anthropology, Philosophy, Accounting & Finance and Psychology are all within Top 20 in the UK. University of Sussex is special in terms of its diverse offerings of interdisciplinary programmes (such as Law & Politics, Psychology & Sociology), which is suitable for students with diverse interest. It’s also one of the few universities that offer both University Foundation and International Diploma for International Relations, as well as Communication & Media. Notable alumni include former president of South Africa and a number of Nobel laureates. University of Strathclyde is ranked the 268th globally (QS 2019) and offers one of the best Accounting and Finance programme in the UK. Its business school comes 39th in the European Business School Ranking (FT 2018), and is one of the few business schools that is triple accredited by AACSB, AMBA and EQUIS. Strathclyde follows the Scottish education system, in which undergraduate qualifications are obtained in 4 years. The Business School and the Law School do offer 3-year intensive options! Students from the 3-Year LLB English Law will have study exchange opportunities, through which they can study one semester at City University of Hong Kong, in order to enjoy two extra subject exemptions in the PCLL Conversion Exams. In addition to Business, University of Strathclyde is also a good choice for Architecture, Hospitality & Tourism as well as Engineering. Strathclyde’s School of Architecture is named one of Europe’s Top 50 architecture schools for 3 consecutive years by Domus, an Italian architecture and design magazine. The School of Enginnering, on the other hand, educates 4000 students coming from all around the world with as many as 40 choices of programmes, which include niche areas such as Aerospace and Naval Engineering. Ranked the 141st globally (THE 2019), University of Exeter is top 10 in as many as 29 academic disciplines and reputable for Sports Science, Communications & Media, Sociology, Psychology, Geography and Business studies. The University’s Business School has been a popular option of Hong Kong students for Accounting & Finance (ranked the 7th), Business Studies (8th) and Economics (13th) . Notable alumni include JK Rowling (author of Harry Potter), Thom Yorke (lead singer of Radiohead) and more! The University of Manchester is the 6th best performing UK university in the QS World University Ranking, which ranked it as the 29th best in the world (QS 2019). There are as many as 25 Nobel laureates among its alumni and professors. A recent survey also shows that Manchester graduates are most targeted by employers in the UK. Students aiming to study at this prestigious university, but fall slightly short of its entry requirement for direct entry into a degree, now have the option of a designated University Foundation programme. The Foundation has considerably higher entry and progression requirements, but can lead to a wide range of academic disciplines including Psychology, Biological Science, Pharmacy, Engineering, as well as many Humanities and Social Sciences degrees. Ranked the 141st globally (QS 2019), Newcastle University is among top 20 in 27 academic disciplines. It is one of the few universities that provide both Foundation and International Diploma in Architecture (ranked the 6th in the UK), making it a popular choice among aspiring architects. First established as a School of Medicine, the University had been part of Durham University before it became an university of its own. It has been named the “University of the Year” by the Times, for its highly recognized effort in delivering the best education. A member university of the Russell Group, Queen’s University Belfast is the top university in the Northern Ireland, which is currently ranked the 180th globally and the 38th in the UK. Academic researches by the University were highly rated in the research assessment exercise (REF 2014). In terms of academic disciplines, it’s best known for Pharmacy, Accounting & Finance, Architecture, as well as its strong School of Engineering! manufacturer behind London’s New Routemaster and Hong Kong’s KMB! Named the Scotland’s University for Sporting Excellence in 2008, the University of Stirling excels in Sports Science, Education, and Communication & Media. Its sports facilities are often used by the UK and Scotland national teams for training (swimming, tennis, gold and football). Under the Scottish Credit and Qualifications Framework (SCQF), degrees in Stirling allow more flexibility in electives and changing courses. Students can ‘mix & match’ modules from different disciplines to engineer a degree that fulfills their interest and ambitions. Two third of students are from Scotland while the rest come from England and around the world. Located in the heart of London with easy access to destinations such as the British Museum and London financial district, City is a powerhouse for Business Studies as well as Communication & Media. The University is ranked the 38th in Communication & Media globally (QS 2016). The well-renowned Cass Business School is ranked 16th in Europe (FT 2018) and many see it as a stepping stone to get into investment banks and large-scale financial institutions. Students benefit from the School’s extensive network of alumni that includes the CEO of Coca Cola Company. Students can connect with these alumni via a private online platform with as many as 2000 active users of alumni. Manchester Metropolitan University (MMU) is home to the second oldest art school in the UK, which has educated generations of artists and designers, including Thomas Heatherwick the designer of the UK pavilion at the Shanghai Expo 2010 and L. S. Lowry the legendary British painter. The Manchester School of Architecture (jointly administered by MMU and University of Manchester) is a world-famous architecture school with star alumni such as prolific architect Norman Foster. Other Art & Design options include Fashion Design (menswear, womenswear and sportswear), Creative Multimedia, Photography, Graphics and 3D design. 75% of teaching modules in the art foundation are art-related, giving students tons of opportunities to perfect their crafts and skills. consecutive years by QS World University Ranking (2016-2018). University of Gloucestershire is a university that focuses on Business, Art & Design, Computer Sciences and Humanities. Its Landscape Architecture programmes are leading in the field, which are ranked the 3rd among programmes accredited by the Landscape Institute (UK) and is the most historical one! Other than that, University of Gloucestershire also provides a wide range of art & design programmes related to popular culture and media, including Pop Music (production and promotion), TV & Film production, Photography (commercial, documentary, journalistic) and Multimedia design. Programmes and the Most Historical One! Glasgow Caledonian University provides 4-year degree programmes. The University is good for Physiotherapy, Radiography, Hospitality & Tourism, Medical-Related subjects, as well as Building & Surveying. It is the largest provider of health-related graduates to NHS Scotland and is also the only one that offers Optometry degrees in Scotland, training 90% of eye care specialists in Scotland. Offers the Only Optometry Degree in Scotland. Brighton College is a large-scale and highly reputable boarding school in the south of England. The College has continued to perform exceptionally well in public exams in many years, with more than 93% of A-levels students getting A*-B since 2008. In 2018, Brighton College is ranked the 8th for performance in GCE A-levels examinations among other independent schools. The Independent Schools Inspectorate (ISI) gave the College a perfect score in every single category and awarded the College a rare ‘Exceptional’ accolade for Achievements and Learning. It is highly competitive among both local and Hong Kong elite students that applications must be submitted at least one year earlier. Students who are interested in enrolling in the September 2020 intake must submit a school report to Brighton College for preliminary assessment. Eligible students will be informed for further assessments and are required to complete the registration on or before the deadline (6/9, Friday). Caterham School is well known for its well mannered and disciplined students as well as its outstanding academic results. For years it has been one of the top options of students coming from top schools in Hong Kong. In 2018, Caterham School is ranked the 70th for performance in GCE A-levels examinations. With its advantageous, suburban location in South London, it is only 40 minutes away from Heathrow Airport. A*-B rates in GCE A-levels have been over 85% for 10 consecutive years since 2009, with four years at 90% or above. The majority of teachers live within the school campus and in neighbouring communities, making it possible to provide immediate assistance to any case of emergency. Students who are interested in enrolling in the September 2020 intake must submit their applications before the closing dates in accordance to their year groups. Eligible applicants will be invited to an admission interview after passing the entrance exams.